This story is about four women of the same family and a habit that they shared between each other: making toasts. 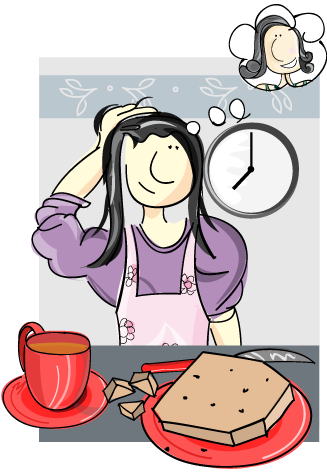 Abigail was a student, that, after a long day at school, around 5:30 in the afternoon, when she was starving, she loved going to the kitchen to have a good hot drink, with a nice slice of bread. 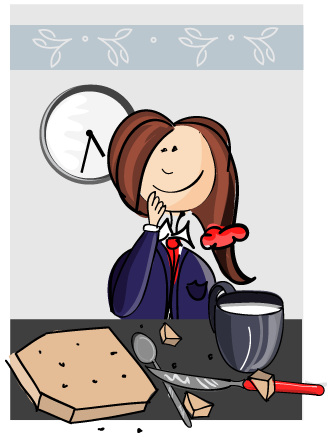 It was something very simple to do; take a glass, heat the milk, decide whether if having coffee or a chocolate beverage, or if she was too tired, she would just add some milk to it. As for the bread, if she had a little of patience, she put the slices to toast; she also loved to top them with some jam and butter. However, she had a particular way to serve the bread, and which it was almost a ritual when it was about eating it: taking a knife and cutting out the four corners of each slice. One of those afternoons, Abigail invited a friend from school, Adeline, to her house. As it was expected, she wanted to please her friend and to offers some of her delicious snacks; beverages and the famous toasts. Following the same rule, after serving the drinks, Abigail took some of the breads and started to get rid of the four corners, her friend stared at her and asked: “Why do you cut the corners of the bread, Abbi?” In reply, she laughed and said, “I don’t know, I always see my mom do it in that way, it will be tastier I guess”. 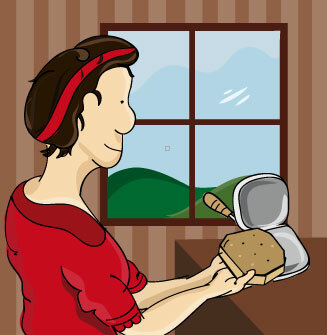 Abigail always observed her mother Regina, before serving the bread, cut all the four corners of the slice, so that’s how she learned toast should be served. One day in the kitchen, Abigail decided to ask her mother the reason for cutting out the corners: “Mom, why do we cut the corners of each slice?” Her mother kept quiet for a while, as though trying to think of an answer; it brought to her mind memories of her mother, Valentine and all the afternoons they spent in the kitchen together. Regina confessed to her daughter not having a specific reason to cut them; in the same way, she learned from her mother that way of serving bread. Reminded Abigail of how her grandmother Valentine, used to go to the kitchen and made some tea with a toast, but not before without cutting out the four corners of each slice., but She did not have a clear answer for her daughter. But where does this strange habit of cutting the corners come from? Does it have any sense or purpose, more so that it was inherited from generation to generation?. Mrs. Christabelle, many years ago, went through the same situation with her daughter, granddaughter and great-granddaughter. When it was about toasting time, and just like all of her descendants, she used to cut the corners of the bread and got rid of them. Until now there wasn’t anything different between them; they have strong love for toasts and they serve toasts in the same manner. Perhaps, Mrs. Christabelle, who also used to cut the corners of toasts before serving them had a reason to do it?. It turned out that every time she wanted to put her slice in her old toaster, the slice of bread was too big for the toaster. So as a solution, she cut the corners of each bread, so that the bread could fit into the toaster and she got to make her popular toasts on her family’s history. What started out as a solution, year by year ended up being a habit. “That is how even some of the most simple things, as making toast can trick our mind. We humans sometimes get stuck, following blindly and even teaching others habits that we develop, which do not let us look beyond, not allowing our mind and other people to be flexible, denying the opportunity to discover new pathways, new things”.